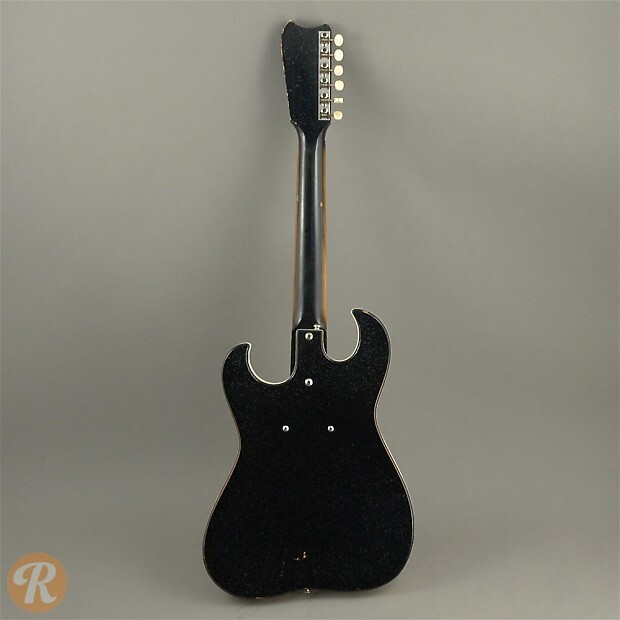 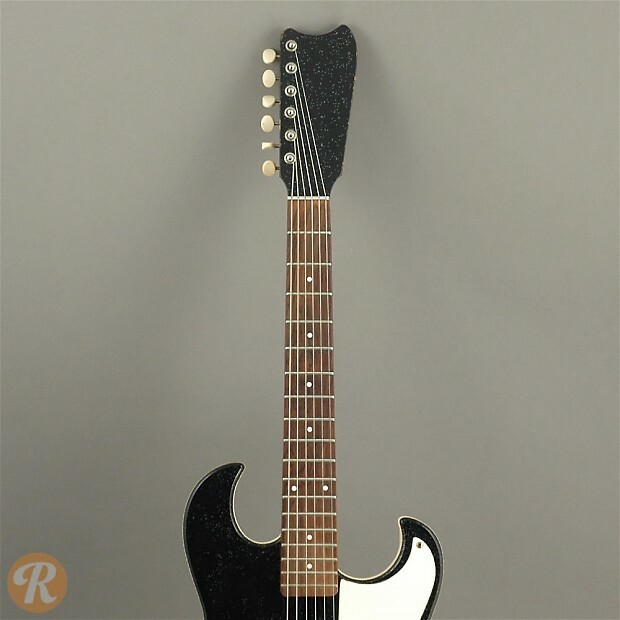 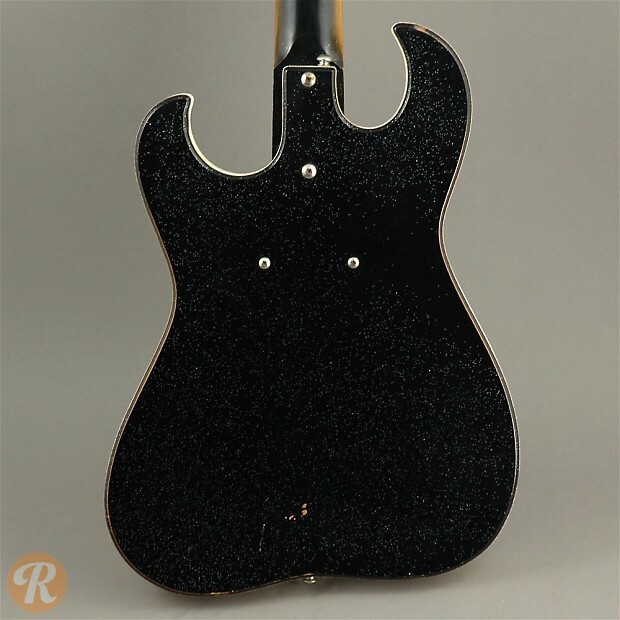 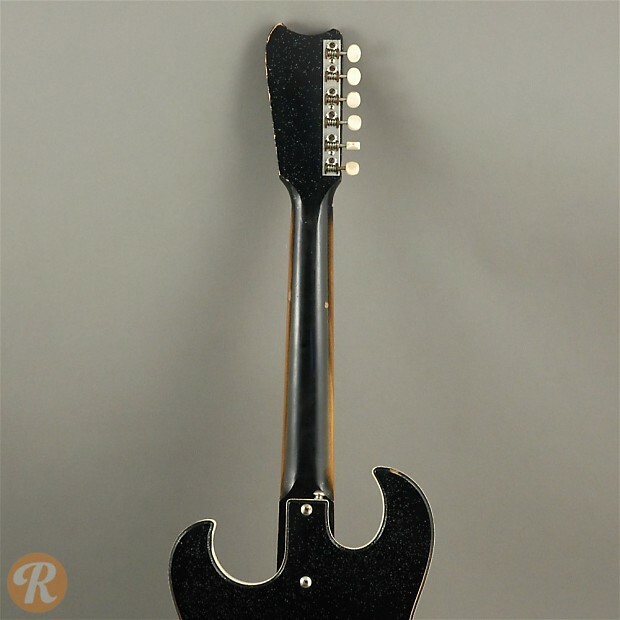 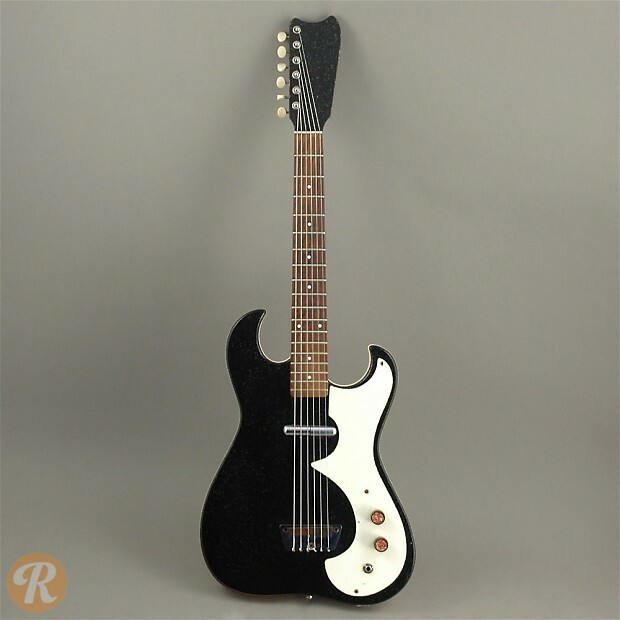 Starting in the mid-'50s, many guitars bearing the Silvertone brand name were produced by Danelectro. 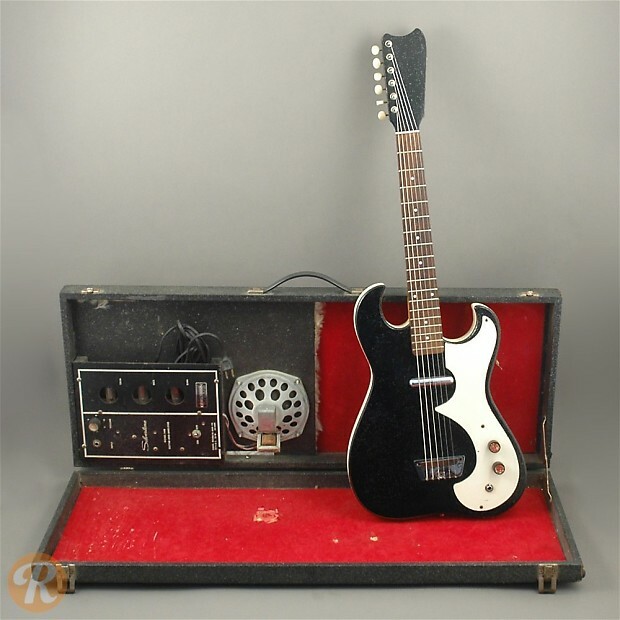 Silvertone was the in-house brand of Sears and were marketed as starter instruments. 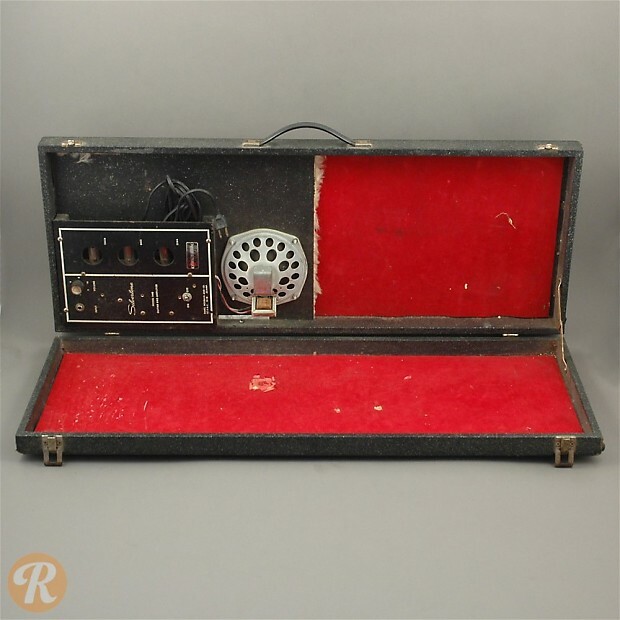 The 1448 included a single pickup guitar with an amplifier built right into the case. 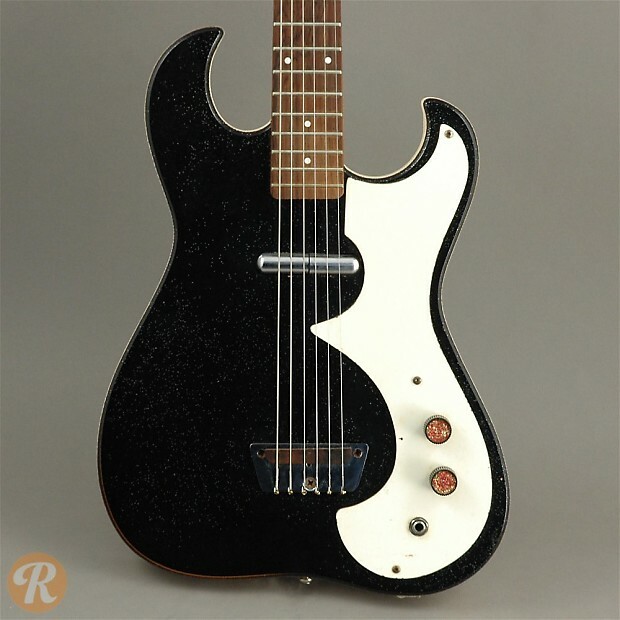 Later, Silvertone distributed a two-pickup version with a louder amp as the 1449. 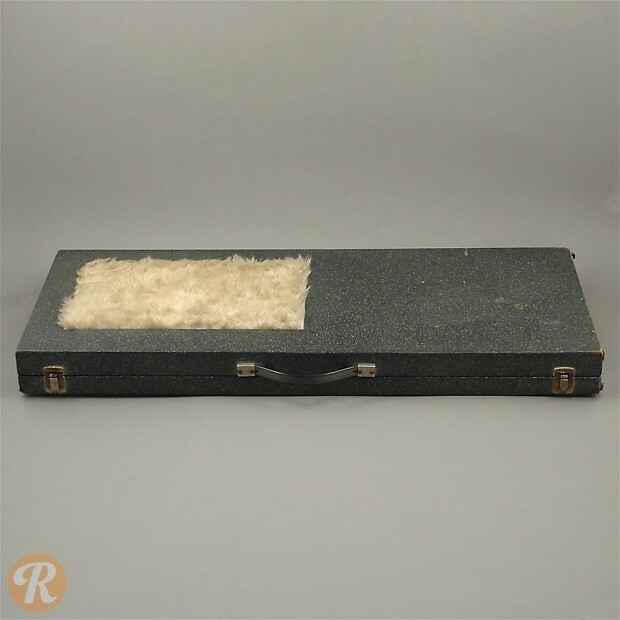 Having the amp case intact with the guitar is very important for collectors.